This post is being sent to Srivalli for her Microwave Easy Cooking event. The theme this month is Basics. My favorite way to use the microwave oven for a basic cooking step: I use it for cooking vegetables in a jiffy. IMHO, the microwave oven cooks vegetables in a jiffy, saving much time and fuel in the bargain, and results in vegetables that are cooked to just the right tenderness, with a lot of the flavor, color and nutrition preserved. Here are three vegetables that I often cook in the microwave oven, with an easy recipe for each. Note: The power of different microwave ovens varies wildly, and the power of a microwave oven reduces significantly as it ages. Mine is a relatively new one, and cooks food in very little time. The only thing to do is play with your microwave and standardize cooking times for yourself. First up, emerald-green broccoli: I know, I know, none of the cool kids like broccoli. I happen to love it, but V, who is astonishingly non-fussy otherwise, makes it a point to wrinkle his nose at broccoli. But he does love Broccoli-Cheese soup. 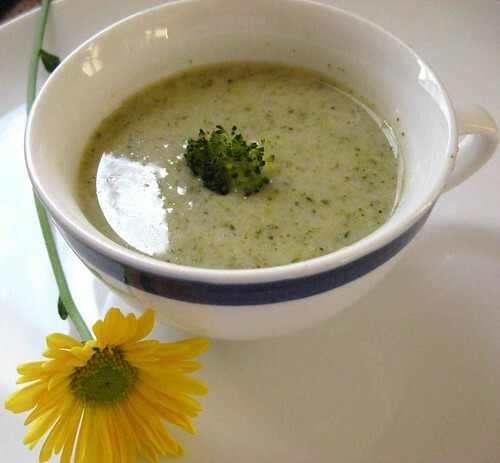 Here is a simple recipe for this delicious soup; I start by cooking the broccoli in the microwave oven. The soup gets made as usual on the stove-top, but with the cooked broccoli, it gets made in minutes. 1. 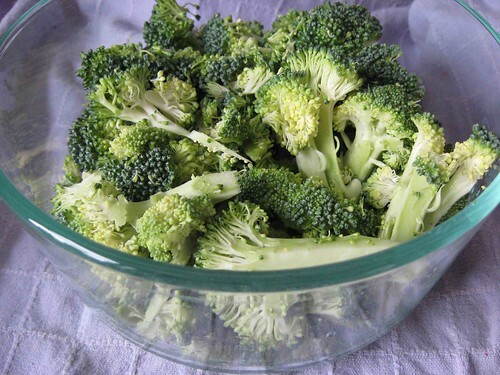 Wash a bunch of broccoli and cut it into florets (2-3 cups in all). Sprinkle with 1 T water. 2. 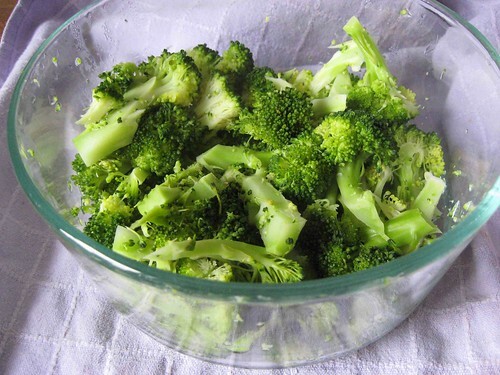 Microwave the broccoli for 2-3 minutes, until tender. Set aside. 3. The rest of the recipe is made on the stove-top. To make the soup, heat 1 T butter in a saucepan. Saute 1/2 C chopped onion and 2 cloves minced garlic in the butter until fragrant. 4. Stir in 1 T flour and cook for 2-3 minutes. Add 3/4 C milk and stir to make a sauce. 5. Now add the cooked broccoli and 2 C water. Bring to a boil. Turn off the heat. 6. Stir in 1 C loosely packed cheese (I tend to use cheddar or Monterey Jack), salt to taste (remember cheese is salty, so go easy), pepper and red pepper flakes (optional). Blend the soup using a blender/ food processor/ immersion blender. Reheat before serving. The humble potato: Sometimes, especially by the end of the work-week, I am almost out of vegetables but tend to have some potatoes handy. 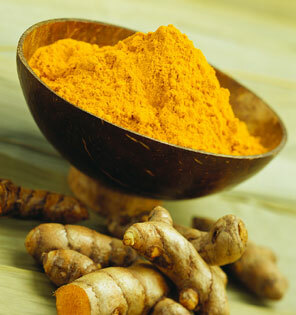 This is a side-dish that goes well with any Indian meal, or also as an off-beat accompaniment to sandwiches. 1. To cook potatoes in the microwave, I simply wash them, prick each potato 3-4 times with a fork, then place it on the microwave turntable and cook for 2 minutes. Then it turn it over and cook it for 2 more minutes. In my microwave, this results in tender, delicious, non-soggy potatoes every single time (Microwave-cooked potatoes are ideal for potato parathas because they you are sure the parathas won't turn out soggy). 2. To make this easy side-dish, dahi batata, peel the potato (or don't) and cut into medium cubes. 3. 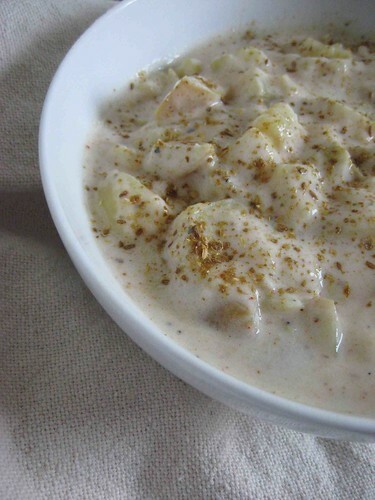 In a bowl, whip together some yogurt, salt, red chilli powder and cumin-coriander powder. Stir in the potato cubes. Garnish with cilantro if desired. 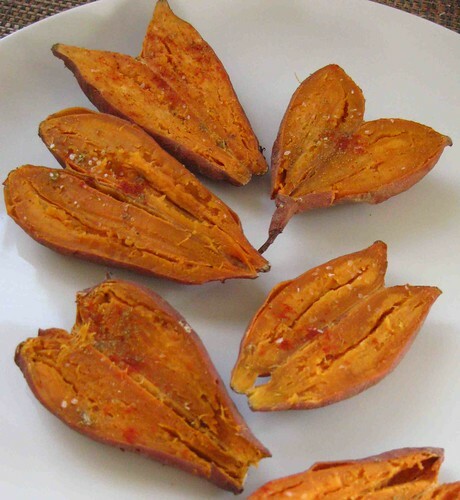 The gorgeous sweet potato: I am always looking for new ways to cook this delicious and nutritious vegetable. Tarla Dalal's "Chaat" cookbook has a chaat involving sweet potatoes. That recipe involves several chutneys and a long list of ingredients, and looks nothing like this, but it inspired me to make this easy and tasty side dish/ snack. I used whole baby sweet potatoes here, but one could use the big ones and simply slice them. 1. Prick 6 baby potatoes/ 1-2 medium sweet potatoes with a fork 2-3 times each. Place on a microwave-safe plate and microwave for 2 minutes on each side, or until knife-tender (time will depend on the size of the sweet potato, as well as the number being cooked at once). 2. Split the sweet potatoes open, then sprinkle with salt, red chilli powder, chaat masala, and a few drops of fresh lemon juice. Serve warm or at room temperature. Peel and eat! 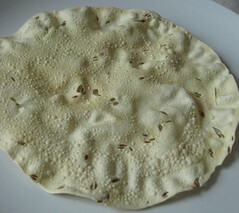 The next use of the microwave oven: Roasting Papad. A few types of papads can be roasted, but most require deep-frying. Here are two that I regularly microwave for a delicious crunchy accompaniment to dal-rice suppers. I microwave papads one at a time, directly on the microwave turntable (I tried placing the papads on a plate, but they seem to roast unevenly and take much longer). After each one, I wipe down the droplets of condensation from the turnable, which ensures that the next papad does not stick on. Other ways I use my microwave oven: to boil water quickly for single servings of tea, or when I need a small amount of hot water for, say, soaking tamarind to make tamarind pulp. I toast nuts and spices in the microwave, which works beautifully, but needs a close watch to prevent them from burning. Here is another use of my microwave: to disinfect kitchen sponges: I regularly get the sponges sopping wet, then microwave them for 1-2 minutes on HIGH. The heating of the wet sponge kills off a lot of the bacteria that kitchen sponges invariably collect. While it is effective, this technique can pose a fire hazard so consider yourself warned! Once microwaved, the sponge will be very hot, so let it cool down before removing it from the microwave, or handle with tongs. Got any clever microwave tips? Leave a comment if you would like to share them. I'll be back on the weekend! Great microwave soup, gets made tonight! I simply love broccoli soups!! (does a dance!). and i "boil" my potatoes in microwave, always :-D. Microwave has ensured that i always can fix a super quick paav-bhaaji. Potatoes are cooked in microwave, so are the mixed vegetables. You make the seasoning, throw in the cooked vegetables and potatoes, simmer on slowly and enjoy! All 3 look gorgeous Nupur... The Broccoli cheese in particular looks very inviting. Broccoli soup in the m/w....I'm sold. My kids unf. are way uncool as they justlurve broccoli! 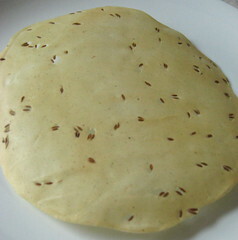 Try spritzing Pam (or any other cokking spray) on the papad before m/w-ing them for a totally different taste. BTW, tried your microwave version of the sabudana khichadi. It was awesome. One couldn't tell it was not made on the cooktop. All the dishes looks very delicious. 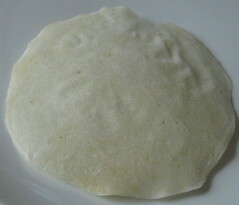 I cook poatoes in microwave and put in bowl of water, but still trying to make papad, either it gets burned or remain raw. Love the sweet potato pics..
these are awesome ideas,love the ratala chat and brocolli soup idea....but i always have trouble with papad,that the centre wont cook...btw spraying some crisco spray makes the papads taste like deep fried ones. lovely looking soup nupur. Iam going to try the tip to disinfect kitchen sponges.. thanks. You perform miracles with your MW. I LUVD the sweet potato chaat. Must try soon! It is one of my fav veggies too. Given our busy lives, this post is so perfect! A little off topic, Nupur, but did you know One Hot Stove was just highlighted in the Food Blog Spotlight at Apartment Therapy: The Kitchen? Kudos! What great ideas Nupur! They all sound delicious and so easy! My microwave cooking is generally limited to reheating leftovers and heating milk for hot drinks (and nuking my sponge - love that!) I had no idea the power of a microwave lessened over time. I've still got the first microwave I ever purchased! It was low-powered to start (600 watts), so it must be really limping along now. I'm going to have to talk it into breaking so I can get a new one! Nupur, this is such a coincidence! I made broccoli soup for dinner tonight and I cooked the florets in the MW! I usually don't add cheese though. I love how the baby sweet poatoes look - very flowery! Thanks for the tips. Other things I use the MW for: Blanching tomatoes, for making almost fat free crisps (chips) with plantains, sweet potatoes and sometimes even potatoes. Ever since I read your post on Oriya potatoes, I've been using the microwave to process potatoes - but like you said, they're all individual - my potatoes still retain a bit of hardness after 5 minutes of cooking, whole or cut. Today I increased it to 7 minutes, cut, but no improvement. Any tips? And I didn't know the power of a mw oven decreases as it ages. Hey Nupur that's a wonderful post for microwave basics!I have just begun to use my microwave for more jobs than just reheating food. Thanks for all the tips.Haven't tried cooking potato.will try that too. I love broccoli soup and I have broccoli in the fridge and this is my friday night dinner!! TheCooker, good for you! Broccoli-loving kids...I bet you are the envy of the whole school district :) Well, the broccoli is cooked in the M/w but the soup is made on the stove-top...just that it takes way less time with the broccoli already cooked. I edited the post to make that clear. Thanks for trying the m/w khichdi, and I am so glad it worked :)! Madhu, this is the problem with microwave ovens...the uneven heating in some of them makes papad-roasting really difficult : Maybe adjusting the power will work in your case?! Have you tried breaking the papad into quarters before nuking it? Just a thought...might overcome your problem of the center not cooking. Prema, the disinfection works really well, but be sure to keep an eye on the sponges. And to make them wet before nuking them. Siri, glad you like it! Terry, you just made my day! (squealing with delight). It is too sweet of Faith from apt. therapy to write that, and very very nice of you to point it out to me. Thank you! I did try blanching tomatoes in the MW just once, and got spotty results (uneven blanching) but should try that again. Thanks for sharing your tips! Srivalli, thanks for hosting this fun event! I enjoyed it. Sra, it is very possible that your microwave oven's power has really lessened. For you, certainly, it would be much easier to just cook potatoes in the pressure cooker or stove top. Madhuli, you could try the same with the more easily available cauliflower too, or a mixture of cauliflower and broccoli. Roasting poha is a great tip! Timepass, the sweet potato recipe is very tasty, do try it out. 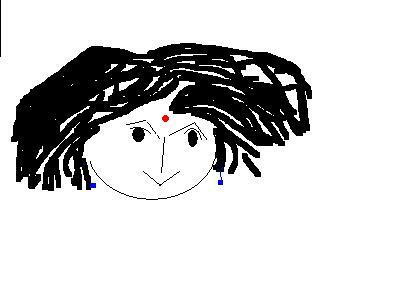 Raaga, Hope you enjoy it! BTW, I cooked the broccoli in the MW and made the soup as usual on the stovetop, maybe the post was confusing about that. You made all those in MW, i still can't believe it!! I loved the soup and Poatoes in yoghurt.... The fact that they are made in MW impressed me more!!! Great Recipes Nupur, loved the broccolis soup v much, yeah i use it to fry papad's often and get the potatoes done, but you have some incredible recipes out of m/w. Tx for sharing them with us. One of my classic recipes is to make Paneer Butter Masala in MW. This also serves as a base for making paneer butter masala. Just throw in kasuri methi and heavy whipping cream, chilli powder and little sugar! Finally add paneer to it! Done! This is one of the best recipes that I have made in MW. cooking potato in MW is so much easier and nnon-messy! I always do that, but don't prick the potatoes with a fork... will try it to see the difference if any! My hubby likes fried papad, so i generally spritz the papad with oil and mw it, works fine! Dahi Batata is delicious. Thanks. Would like to see more delicious recipes in future. The brocolli soup looks delish. I wanted the recipe for quite some time. I loved the snap of ratala chat. I too use microwave for boiling potatoes and roasting papads. Padmaja, If you want, you could use cauliflower instead, in the soup. Padma, glad you liked them! Rays of Sun, Rice in the microwave sounds very convenient, but walmart...well, I stay far far away from their evil empire :D Your paneer butter masala sounds delicious indeed. Sandeepa, no, I don't wrap potatoes. From what I hear, different microwaves do have problems with uneven heating etc. so that may be why you have had problems with mw potatoes. Two mins is the time in my appliance but could be totally different in others. 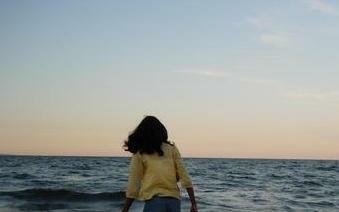 Manasi, the pricking is to vent steam. I should have mentioned that in the post. 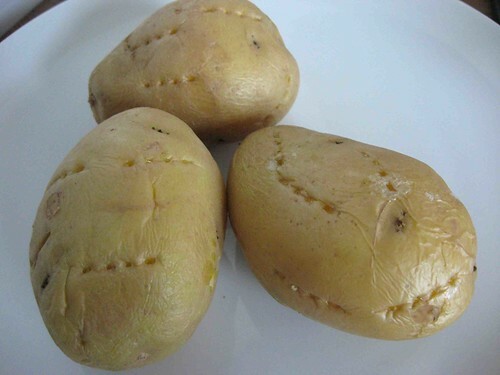 As the potatoes cook, steam builds up inside and pricking holes and allowing steam to escape makes sure that you won't face a sudden bursting potato (especially if the potato you cook has a high water content). Linda, the yogurt potatoes....I always end up likcing the bowl :D Thanks for the baking potato tip: I always hesitate to make baked potatoes because of the hours and hours baking time. But your tip will make it easy! Swapna, glad you like it! The brocolli soup sounds very easy. My 5 yr old loves brocolli, unbelievable isn't it? I'm sure this will be a hit, I'll try it out soon. I was pretty scared while doing it though & kept opening the MW every 45 sec or so! I 've only used the MW for cooking rice, roasting papads & heating/thawing food before.Thanks a whole bunch! Namita, I hope the little one will enjoy this cheesy version of broccoli! TBC, I bet the horror story happened because this person did not cut slits into the eggplant to vent steam. Don't be so afraid :) as long as you understand what you are doing, there is no need to be so scared of the microwave. Great tips Nupur! Applying a little butter on raw papad and then microwaving as you do, results in a papad which is very close to the conventional fried papad! Low-fat and just so tasty, it makes a great base for masala papad! Oops! Just realized that you already got the pseudo fried-papad tip a few times already :) Sorry for the repetition! I have used mw to roast rava, works out pretty well. Good soup made with readily avaiable ingredients. Like the soup bowl very much!! The ratala chat looks like flower petals!!!!! Really good looking!!!! Its really interesting that you use microwave for disinfecting the used sponges. The wet sponges are a great help for the microwave too. 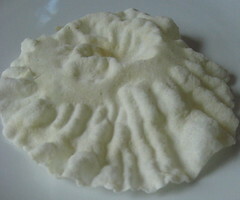 Microwave wet clean sponge for one minute. Wipe off the innersides of the microwave.Vapours that come out of the wet sponge help to clean it up easily. To remove odor from the microwave oven,place half cut lime in a bowl dipped in water, microwave for one minute. 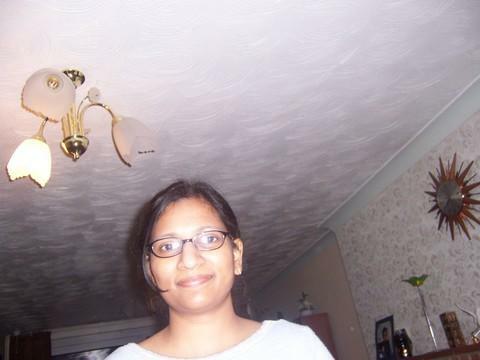 Hi Nupur, cool post! i too enjoy using the microwave. Mostly it helps in re-heating and defrosting. being in the south we love mashed potatoes and gravy, i just my microwave to cook my potatoes to mash. i just cut them up, add a lil water or milk not much cover the dish and cook. testing often to see the softness, sure saves time. I have been a regular visitor to ur blog but never left any comment.But, this time I had to leave one as I tried your brocoli soup and it came out very well!! Thanks a lot for all ur receipes..